Monday has arrived, South Florida – and NBC 6 has the top stories you need to know to get the week started. Weather wise, fall may have arrived on Friday night but it will still feel like summer across the area with isolated showers mostly inland and high temps near 90 degrees. The latest allegation, dating back to his college days, comes days before Kavanaugh is scheduled to testifybefore the Senate Judiciary Committee in response to a previous allegation of sexual assault. Officials say the incident took place around midnight in the home located in Pasco County, just north of Tampa. The deputy, who worked with the Hillsborough County Sheriff’s Office, was found dead in an upstairs room while his wife was found dead on a couch. None of the children inside were hurt. The Dolphins are partying like it is 2013 as they went to 3-0 for the first time since that season – but it took some work after trailing by 10 points and staging a 21-3 run to end the game and get the 28-20 win over the Oakland Raiders. Miami will go for win number four next week at New England. 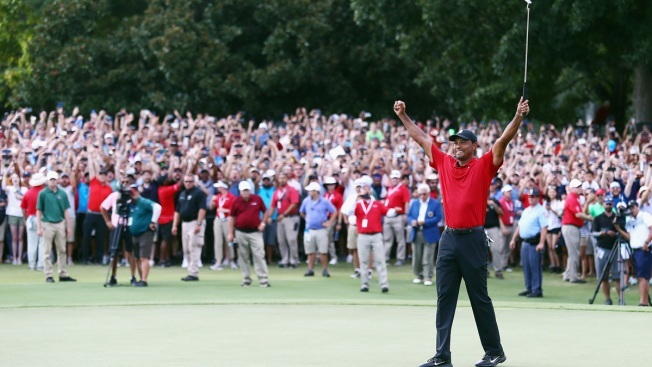 Don’t call it a comeback, but one of the best golfers of all-time kept his tournament lead for all four rounds and coasted to a two stroke victory Sunday – his 80th career win and first in over five years. A new survey by staffing firm Robert Half finds nearly a quarter of workers say they've quit a job due to a bad commute. Miami was among the 28 cities were workers were surveyed and cited that reason.